The most notable and commented on RBTH stories of the past five days. It was a contentious week in Russia-related news as top officials traded barbs. On Tuesday, U.S. President Barack Obama called Russia out during his State of the Union address. Those readers following the reaction of Russian politicians could be forgiven for not realizing that Obama spent only 75 words of his 6,200-word address on Russia. 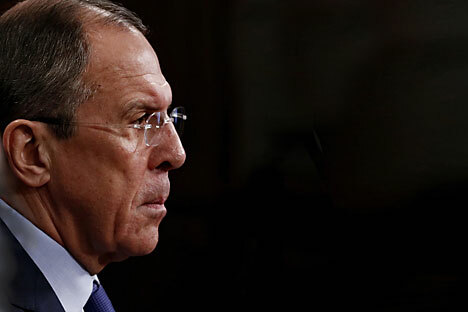 Deputy Prime Minister Dmitry Rogozin and Alexey Pushkov, head of the Russian State Duma Committee for International Affairs, both tweeted about the speech, while Foreign Minister Sergei Lavrov spent a significant portion of an address the following day on Obama’s comments. Lavrov was back in action again the next day, responding to comments by Polish Foreign Minister Grzegorz Schetyna that Ukrainian troops liberated Auschwitz. Head of the EU Delegation to Russia Vygaudas Usackas, a Lithuanian, tried to dial down the rhetoric, telling reporters at a press conference at the offices of wire service Interfax in Moscow, “I don't know which battalion or brigade exactly liberated Auschwitz. There were a lot of people there, it was World War II. The debate was just the latest salvo in the war of words over the Auschwitz anniversary that began with the announcement that Russian President Vladimir Putin would not attend the commemoration next week. The reason for this is still a matter of debate. If all this hot air has you wishing for cooler climes, you can always make a visit to the world’s northernmost ski resort, Big Woodavyr, on Russia’s Kola Peninsula. Russian ski resorts are seeing an increase in traffic this ski season as the value of the ruble has made it too expensive for many Russians to travel to resorts in Switzerland and France. With views like this, we don’t feel too sorry for them.